Could new energy efficiency standards leave landlords with ‘unrentable’ real estate? 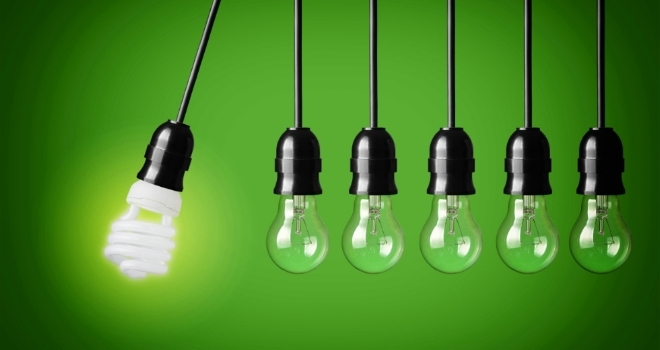 In six months’ time new Minimum Energy Efficiency Standards (MEES) will be in place – a sweeping change scheduled for April 2018, barring new or renewed leases on commercial property with Energy Performance Certificate (EPC) ratings of F or G.
Landlords with commercial portfolios should prepare diligently, or risk significant loss of rental income. We’ve compiled some tips to help you prepare your property for these changes. A complete list of property assets, with detailed records of current EPCs, is paramount for MEES compliance. This can be maintained through clear communication with all parties involved in changes to your portfolios, keeping you fully aware of sales, refurbishments or tenancies. A careful record of tenant movements will enable an accessible and useful asset list with accurate data. This will help avoid any wasting of time or effort when collating data. Good EPC records detailing ratings, expiry dates and addresses are an absolute requirement. Take note that EPCs can be commissioned by anyone – yours may not be the most recent on a property. EPCs evaluate the characteristics of a building and its services, from heating and ventilation to air conditioning and lighting, but assessors often lack detailed property information. Thus they need to gather information during site visits, modelling their findings before determining the EPC rating. For various reasons EPCs are sometimes based on assumptions, conventions and defaults which imagine worst case scenarios. These don’t always provide an accurate representation of buildings’ statuses. Before refurbishing a sub-standard property, we would recommend that its building energy model is reassessed to eliminate as many estimates as possible and improve the EPC rating. Listed Buildings. There is an urban myth that listed buildings do not require EPCs. In fact, they are most likely to earn EPC F and G ratings because of their poor fabric specifications for energy performance (single glazing, uninsulated walls etc). E-rated buildings. EPCs are linked to the regularly-updated and strengthened UK Building Regulations, Part L. In revisions to come EPCs with asset ratings with a rating of E may find themselves in the F & G bands once the current certificate has expired. Rental Values. If refurbishment is abandoned and an unacceptable property offered for rent, landlords won’t be allowed to market buildings, which can only lead to a loss of rental income. Rental values per square metre, per annum should be accounted for, to ensure correct risk assessments and highlight needed improvements. Many owners aren’t sure about their MEES compliance risk, so undertaking a review is vital. You can save time and money by also commissioning reviews of additional environmental compliance risks. For example, our ever changing climate often highlights the need to understand flood risk. Property owners need to understand such risks to protect against business threats and develop plans to guarantee business continuity. MEES, however, provides the perfect opportunity to ask further questions about the environmental legislation agenda. Property environmental compliance risk exists in many areas including air conditioning inspections (ACIs), ESOS energy audits and asbestos registers among others. As well as giving a useful assessment of regulatory and non-mandatory environmental risks, high level reviews also highlight opportunities such as solar PV installation, that impact on the wider business. Whenever the opportunity arises, property owners should look to introduce provisions in leases preventing tenants from carrying out alterations that adversely affect energy performance. You may also wish to restrict a tenants ability to commission its own EPC, as these invalidate existing certificates. Equally, the new regulations present an opportunity for greater cooperation with tenants through the adoption of green leases. A green lease is a standard form lease, with additional clauses included to provide for the management and improvement of the environmental performance of a building. Owners and occupiers can decide on carbon, energy, waste and water reduction tactics that most suit the individual circumstances of properties. These strategies represent some of the ways that landlords can protect themselves and guard their portfolios ahead of the implementation of MEES. If followed, they could help landlords to not only scrape by the minimum requirements for compliance, but also lead the way in both property and asset management in relation to environmental preservation.